- Shopify Blog is changing Ecommerce. Why and How? 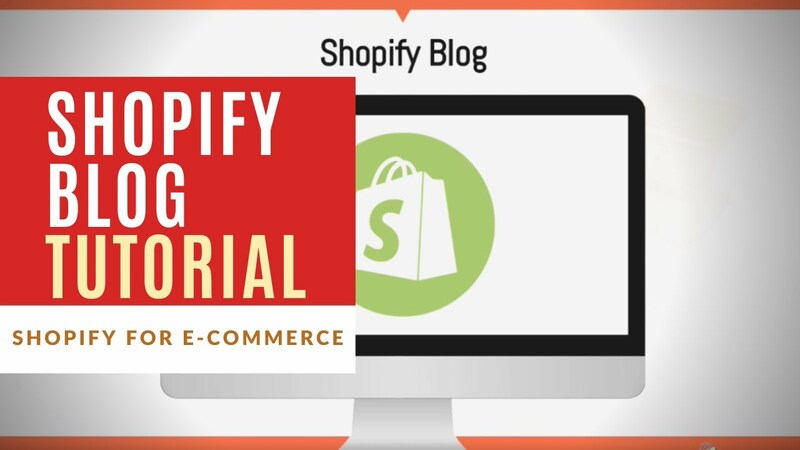 One of the features that makes Shopify a special and premium platform is Blogging. With a huge number of subscribers, Shopify blog is gradually changing E-commerce in a clear and positive way. Why is Shopify blog so popular? Shopify Blog is acknowledged as a kind of blog with a wide variety of themes and articles from different sources. Although Shopify blog is simple, easy to use, but the quality of the information they provide is not low. The key to the success of an E-ommerce site is the ability to provide customers with the information they need to develop their stores, and the Shopify blog is now doing very well. Shopify blog is a software with lots of in-depth research content and it is also an inspirational tool. It may just be an analysis of how a person can make $500,000 a year just by selling T-shirts. For e-commerce, Shopify is the first technology platform that allows exploitation to go into such kind of content. Shopify gives its potential customers opportunity to use the platform, but more importantly, Shopify Blog is an inspirational place to help users keep moving forward. The best thing about Shopify Blog is that it’s completely free. However, it cannot be said that it is not profitable for Shopify. Blog is an important part of their marketing strategy to recruit new store owners into the platform. At the same time, it is also essential to keep customers and help increase sales for stores – all of which lead to Shopify’s profit increase. However, because it is freely accessible and if you have the time and determination, you can become an eCommerce expert just by taking the time to read the blog posts and resources that Shopify has recently created. Only by actively educating store owners with amazingly available resources, Shopify blog is slowly changing Ecommerce. It’s interesting to see other blog sites following Shopify blog and investing more in theirs. Therefore, we hope that with such knowledge provided by blog on Shopify, on average in 2-3 years, shop owners will better understand what to do to take their store to the next level. Next Post (n)	How to start a Dropshipping Business with Shopify?